Welcome to Sundance Flying Club. Our primary goals are for our members to be able to enjoy flying safely and economically. To that end, we need to ensure that everyone is proficient and qualified before they fly our airplanes. We do this by requiring that everyone gets checked out with a Club instructor on our club procedures and in our airplanes before they fly with us. There are several different kinds of checks that you might have to complete depending on your previous experience and qualifications. Everyone must complete a basic checkout no matter how much experience he or she may have. If you feel that because of your experience you don't need a checkout, we respectfully invite you to fly with some other club. The time required to complete the checkouts can vary from 30 minutes to many hours or even days of training depending on your experience and proficiency, the aircraft which you desire to fly, and where you intend to fly. 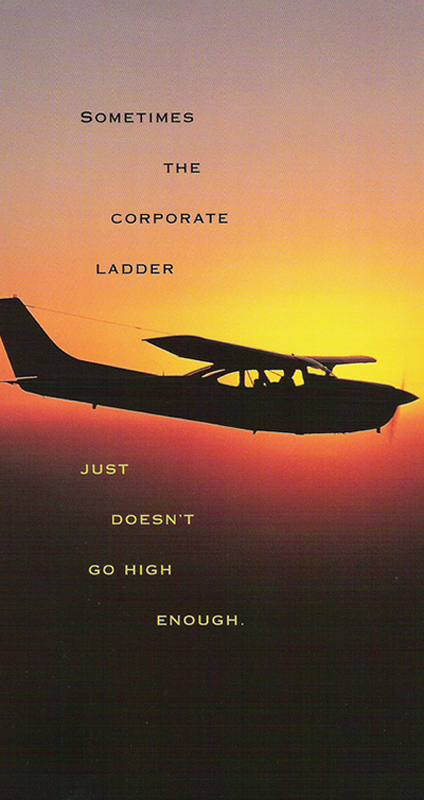 Our insurance company also requires that pilots have specified experience and training prior to soloing an aircraft. The requirements vary with the aircraft type. The checkout minimums are listed on our website with the description of each airplane. The following list of check-out procedures is intended to help our new members have realistic expectations of what checks they will need to complete before they fly with us or depart on a trip. This information is a guide — all check-outs are considered complete only when proficiency is demonstrated and the appropriate form signed by both the pilot and the CFI. Your mileage may vary. Note: Procedures marked with £ are FAA required endorsements. We have provided links to the current FAA regulations for your convenience. You may have to scroll down the page to find the relevant sub-section. All pilots new to the Club will receive an introduction to Club procedures. These include info on office and key access, normal and emergency administrative procedures, how to use our schedule system including viewing and filing squawks, aircraft check out/in procedures, making payments, refueling and oil replenishment procedures and arranging for maintenance. This also includes a review of club rules. This generally takes 30-45 minutes. All new members must have a Basic Checkout in at least one airplane. Existing members who wish to fly airplanes that they have not flown before have to complete a basic checkout for each new aircraft model. This procedure is intended to make sure that you understand the systems and operation of the airplane, and requires that you demonstrate that you can safely operate it. All aircraft checkouts require that you complete a ground review form for the airplane you will fly on the checkout. If the aircraft is a high performance or complex type you must also fill out an additional form covering these aircraft. You will need to have a copy of the Approved Flight Manual (AFM) or Pilot Operating Handbook (POH) for the airplane to complete the form. Some manuals are available on-line. Others may be purchased from the club. The form will be reviewed with the checkout instructor before you fly and corrected to 100%. Completing the form fully and accurately decreases the time needed for the ground review. This review is a good time to ask any questions you have about the airplane. The ground review can take as little as 20 minutes but typically takes close to an hour. If you are new to a high performance type it could take several hours. The flight portion of a checkout resembles a flight review. You will fly most of the maneuvers on the Private Pilot flight test and you need to perform them to Flight Review standards; the maneuvers need to be completed safely with the successful outcome never in doubt. If your performance is not up to standards the instructor can provide instruction and you can practice until you meet standards. The maneuvers on the checkout include: medium and steep turns, slow flight, power on and off stalls, simulated engine failure, normal/crosswind takeoff and landing, short and soft field takeoff and landing, and power off landing. Instrument flying demonstrations are not required for the checkout, but you can ask your instructor to review them with you if you desire. Pilots who are proficient in the checkout airplane can generally complete all of the requirements in 1:15 to 1:30 of flight time. Obviously if additional practice is needed the checkout time will be longer. If you haven't flown in several years you should expect that the checkout will take more than one flight. If you are checking out in a high performance (greater than 200 hp) or complex (retractable gear / constant speed prop) airplane for the first time, there will be some additional ground time for review of the systems on these airplanes and additional flight time to practice operation of their systems. In addition, our insurance company requires a minimum of 5 hours of training AND demonstration of proficiency before you can solo these airplanes. If you have high performance /complex endorsements expect a minimum of 30 minutes additional ground time and 15 minutes of additional flight time to complete these checks compared to a basic airplane. Additional time will be required for initial training to earn endorsements to fly these airplanes and to meet the insurance minimums. Turbocharging allows airplane engines to maintain sea-level power to a higher altitude. This improves takeoff, climb and cruise performance considerably but comes at the cost of more complex and sensitive engine operation and cost. It is very easy to damage a turbocharged engine with even minor mishandling. These airplanes also have advanced systems, and you�ll need to be familiar with oxygen system use at the higher altitudes at which these airplanes fly. Pilots new to this type of airplane are required to take transition training usually to include attendance of a ground-school class. Checkouts require 5 to 10 hours of flight time plus ground time for review of systems. Several of our aircraft have been retrofitted with Aspen EFD 1000 Electronic Flight Displays. These displays replace the conventional mechanical attitude indicator, heading indicator and navigation instruments with a single, integrated computer graphic display. They also incorporate interfaces with GPS navigation systems and autopilots. These displays can improve situational awareness and lower workload, but they can produce the opposite results if you are not fully versed in how to operate them. The Club offers transition training classes for the Aspen / Garmin 430. This training includes one class for VFR operation, one for IFR, and several training flights. You should expect to have at least one VFR and one IFR training flight to attain proficiency with this technology. Pilots with previous glass cockpit experience may complete this training in less time. Flying tailwheel-equipped airplanes is great fun, but these types require specialized training. Relative to nose-wheel equipped airplanes, they are harder to handle on the ground, during takeoff and landing, and require more rudder use in flight. All members who wish to fly tailwheel airplanes need to complete a Basic Checkout (as described above) in a tailwheel airplane. Pilots without a tailwheel endorsement will need to complete tailwheel transition training. This is comprised of the items listed in 14 CFR 61.31 plus the usual maneuvers in a Basic Checkout. This training typically takes 10 to 15 hours, including 30 3-point and 10 wheel landings with the ultimate requirement of demonstration of proficiency. Sundance Flying Club has Multi-engined airplanes ranging from a Beech Duchess trainer to a Beech B55 Baron. The FAA requires a Multi-engine Certificate£ similar to that required for single-engine airplanes. The Club provides multi-engine training in the Duchess. Pilots who do have Multi-engine qualifications must be checked out in each airplane they wish to fly. They must also maintain currency in it. The checkout minimums and currency requirements are listed on our website with the description of each airplane. The airspace over the San Francisco Bay area is both complex and congested. Palo Alto airport is the second busiest airport in the area. Within 50 nautical miles of Palo Alto there are 13 airports with Air Traffic Control towers, 12 non-tower public airports, 9 non-tower private airports, one Class Bravo area, three class C areas, 10 enroute nav-aids, 4 special use airspace areas, 11 glider and parachute sites, 6 professional and collegiate sports stadiums, 4 restricted and special use airspace areas and many state and national wildlife sanctuaries. Each of these has rules and procedures with which you must be familiar and proficient. The area also includes elevations varying from sea level to 4400 MSL. Local weather patterns frequently produce low altitude stratus clouds that close mountain passes and result in IFR conditions. If you have never flown in the Bay Area before plan on spending 30 minutes or so on the ground reviewing the airspace with your instructor before you fly, and a few minutes in flight to become familiar with the major landmarks. A popular flight for both newcomers and resident pilots in the area is the Bay Tour . This is a flight around the Bay area, typically over the city of San Francisco and around the Golden Gate bridge, and optionally down the coast or over the east bay cities of Oakland and Hayward. These flights will take you through the San Francisco Class B, possibly the Oakland Class C, possibly require avoidance of these airspaces, and through multiple Class D areas. Instruction on the tour is not required but is recommended so that you will know what to expect, what is expected of you, and how to stay out of trouble. A ground review of this flight will run 30 minutes to an hour. A dual instruction flight will require 60 to 90 minutes of flight time. Per 14 CFR 61.56, every pilot must complete a Flight Review or pass a flight test every 2 years (24 calendar months). The regulation specifies a minimum of 1 hour of flight and 1 hour of ground instruction for the review. These are minimums. For a proficient pilot, each part typically takes closer to 1.5 hours. If you haven�t flown in months or years, expect several hours of ground and more than one flight. The FAA has published several Advisory Circulars providing guidance to flight instructors on what should be covered in a Flight Review. If an instructor followed these to the letter the ground review alone would take upwards of 8 hours. The reg requires that the applicant be able to demonstrate the safe exercise of the privileges of the pilot certificate . The instructor has to certify this, so it is not just a matter of flying for 1 hour � the instructor needs to see a demonstration of proficiency or you have to practice until you achieve proficiency. As for ground, a thorough review of rules and procedures is in everyone�s best interest. We also operate in an area of high traffic density and complicated airspace, so a review of airspace rules and procedures is essential. The requirements for instrument currency are specified in 14 CFR 61.57, but the reg does not provide detail on what constitutes an instrument proficiency check. These details are specified in the FAA Instrument Practical Test Standard. If you are proficient you can complete an IPC in 1.7 to 2.1 hours. It is possible to combine a flight review with an IPC, but completing all of the requirements in one flight will take at least 3 hours. We recommend that you break this up into multiple flights. A pilot certificate issued by the United States is required to fly a US registered airplane. If you hold a pilot certificate issued by another country you can get a US certificate issued to you based on your foreign license. This is done by filling out an application and sending it to the FAA. You will be required to nominate a Flight Standards District Office (FSDO) for the completion of this process. The FSDO will look at your license and issue you with a temporary US certificate. (Your permanent one will be mailed to your home address.) You should allow 1 hour for this appointment. Once you have been issued a US certificate you must complete a flight review before you can fly a US registered airplane (see Flight Review above). If you arrive for overseas or from the US east coast, allow at least a day for recovery from jet lag / the time change before you plan to arrive at the Club, both for flight and ground training. If you�re tired you will not absorb the training content. A day of rest will help avoid frustration for both you and the checkout instructor. California is a land of highly varied terrain and widely varying conditions. It's a very short flight from Palo Alto to mountainous areas that are breathtakingly beautiful but can also be challenging and treacherous. We want our pilots to be able to safely fly in those areas, so we require mountain training and/or experience prior to flight across and into mountainous areas. Some flying clubs offer mountain checkouts that are little more than a single trip to a high-altitude airport with a few takeoffs and landings. This gives pilots some experience with high-density altitude operations but does not provide them with the knowledge and experience they really need. Many foreign pilots have flown in mountainous areas but never operated from a high altitude airport under even higher density altitude conditions. 9000� density altitude on the ground is common for Truckee and Tahoe in the summer. If you intend to fly into airports above 2500� MSL field elevation contact the Club for details on what specific requirements will apply to you in consideration of your previous training and experience. At a minimum, we expect that you will have read The Mountain Flying Bible by Sparky Imeson. We have a written test for mountain flying that we require you to complete which helps us verify that you have the minimum knowledge for this kind of flying. You should have completed reading the book and filling out the test before you arrive here, otherwise your training will be delayed by several days at a minimum. We recommend that flights to mountain airports be conducted in airplanes of at least 200 horsepower. It is also highly recommended that you have at least 10 hours in type before you begin mountain training. If you have not flown a C-182 before arriving here, you should not expect to be able to check out in the airplane and complete mountain training in the same week � this training will require several full days and weather is not always favorable for mountain training. If you intend to fly out of California you will almost certainly need to cross at least one major mountain range. Thus you will need mountain training before departing on such a trip. Please feel free to contact the Club if you have any questions about checkout requirements or Club policies.